Super rich silicone formula revitalizes and restores "New Look" to tires, hard vinyl trim, rubber bumpers, rubber and vinyl floor mats. Use it on any color. This is one of many top quality items in our tire shine department. 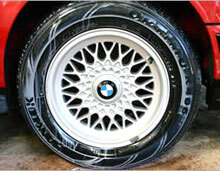 Neopol Tyre polish restores faded and bronze looking tyres back to a like new black with a shine and lustre. The product dries smooth, protects against damage caused by harsh UV rays and will not wipq off. 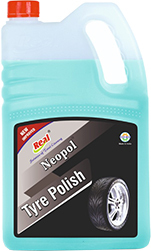 Neopol Tyre polish is a specially formulated gel that outperforms silicone-based tyre 'dressings' and will last for months, while not attracting dust or 'shining' over your paintwork. 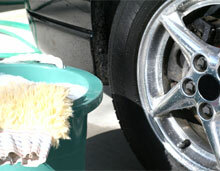 Neopol Tyre polish is a good product for tyres especially if they are looking weathered or faded. An easy to apply gel that dries in about 10 minutes to leave an intense black colour that will last for months. Use direct on tyre or other rubber products.